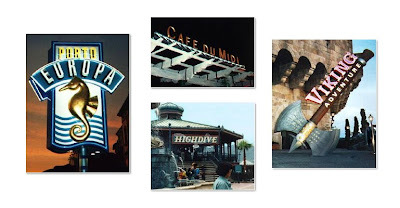 Today, I found a long-lost friend and coworker, and to commemorate the friendship and overall good feeling I'm having tonight, we'll be looking at my project for MCA / Universal Studios called Porto Europa. Porto Europa, originally uploaded by The Loulogue. 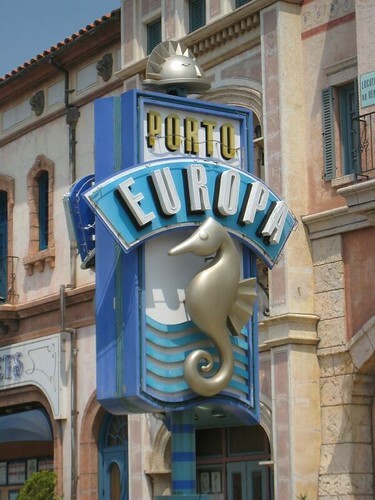 Porto Europa began as a four and one-half acre themed entertainment center in Wakayama, Japan. It opened in 1994 among the first offerings on a landfill island built by Masushita (Panasonic) to provide the former fishing village region with a future as a resort destination. I joined the team in 1992, after a short period where I was consulting for Planning & Development on Universal's Islands of Adventure. My role began as Graphic Design Coordinator and evolved into a manager position, and along the way Universal offered enough flexibility in my role that I was able to codevelop the park mascots, guide their use in a ton of character merchandise, develop an identity system with an icon of design, mentor and friend, Primo Angeli, and consult on the theme and finishes for the retail, restaurant and area development portions of the park, as well as provide the park name, Porto Europa. 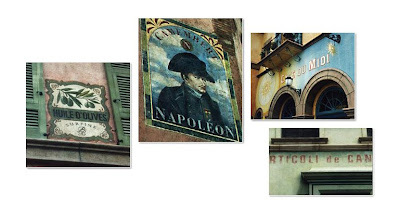 Hundreds of signs were designed by a team consisting of the parks thematic art directors, myself, and our design resource, Wayne Hunt design. My friend from Imagineering, Bob Loza, worked on the design intent drawings at Hunt's office. The entire package of signage was built in Osaka and Tokyo by Tanseisha Co. with my fabrication oversight and installed or painted over a six-month period as the park neared completion. I worked on the Porto Europa mascot characters with ex-Imagineer Steve Feicht, a friendly diver character and his ocean-dwelling friends. The characters were a hit whenever they walked though the park, and they also were the subject of a short film shown at the park. Since my last visit, the expo area has been built out to an unthemed spinning and ironrides area, a resort hotel, condo towers and more. Reviews of Porto Europa mainly focus on the stark thematic separation between the original portion and the ironrides area, and suggest the original park can be enjoyed in less than a few hours. WOW. This is extremely cool, Gino! I'm beyond impressed.